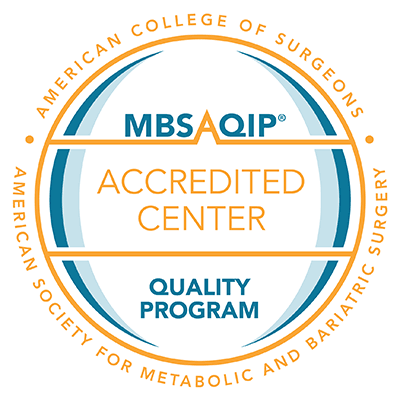 Our bariatric surgeons with The Center for Weight Loss & Bariatrics at Centerpoint Medical Center are dedicated to providing the latest treatment options available for your your weight loss journey. The biliopancreatic diversion with duodenal switch procedure is for people who are super obese (BMI of 50 or higher) and have not been able to lose weight any other way. This high-risk procedure changes the normal process of digestion by making the stomach much smaller. The diversion allows food to bypass part of the small intestine so that you absorb fewer calories, carbohydrates and fat from the foods you eat, helping you to lose weight. You will still need to commit to a healthy diet and active lifestyle if you want to maintain weight loss with this procedure. In this procedure, your surgeon will remove approximately two thirds of your stomach. Then, he will attach the smaller remaining stomach to the lower portion of the small intestine. It’s important to note that this procedure comes with significant risks because patients are no longer able to absorb vitamins and nutrients normally, and must take supplements for the rest of their lives. You are able to eat larger meals than with a Roux-en-Y gastric bypass procedure. It produces the greatest excess weight loss due to the highest levels of malabsorption (inability of the body to process fat, calories and other nutrients from food). Long-term maintenance of excess body weight loss can be successful if you adapt and adhere to a dietary, supplement, exercise and behavioral regimen. For all malabsorption procedures, intestines go through a period of adaptation when bowel movements can be very liquid and frequent. This condition may lessen over time, but may be a permanent lifelong occurrence. Close lifelong monitoring for protein malnutrition, anemia and bone disease is recommended. Also, lifelong vitamin supplements are required. If eating and vitamin supplement instructions are not rigorously followed, at least 25% of patients will develop problems that require treatment. The formation of gallstones and need for gallbladder removal is increased due to changes in the intestinal structure. Revision procedures are certainly not one-size-fits-all, and not everyone is a candidate. The information below will give you general information on your options, based on your original bariatric procedure. Sometimes after a sleeve procedure, you may not lose as much weight as you would like to lose. The first step in understanding why you may not be losing as much weight as you had hoped or have regained weight. We make sure you were properly educated on how to use the sleeve as a weight loss tool. Can you answer “yes” to each of the following statements? I eat 60-80 grams of lean protein daily while keeping my overall calorie intake at 800 calories or less. I complete a minimum of 45 minutes of exercise 3-5 times per week. If you answered “no” to any of the above questions, please call us to discuss your situation or attend our quarterly support group. If you answered “yes” to all of the questions above and have failed to lose adequate weight or have regained weight, you may be a candidate for conversion to gastric bypass or duodenal switch procedure. In reality, most patients don’t need a gastric bypass revision. The most common complaint we see with patients who have gained weight back after gastric bypass surgery is, “My pouch has stretched out.” While that may be true to an extent for some patients, most patients have reverted back to poor eating habits. When asked how much chicken and veggies they can eat at one time, patients are often no longer aware of the quantity of food they are eating. It’s important to remember that these surgeries are tools to help you deal with your body’s slow metabolism and poor eating habits. Their main function is to help control appetite and portion sizes. We know portion sizes will increase some over time, but it’s not usually due to major stretching of the pouch. Another potential cause of weight gain after gastric bypass surgery is stretching of the opening between the pouch and small bowel connection (termed “anastomosis”) over time. This can lead to faster emptying of the pouch which allows you to eat more or be less full with a meal. Revision surgery is not usually effective in maintaining that small opening over time. Your doctor will order tests that will check for nutritional deficiencies, to prescribe any supplements you may need prior to the procedure. You will likely have other pre-operative tests to ensure you are healthy enough for surgery. You may meet with other providers before your surgery, such as a dietitian or a psychologist. If you smoke, your doctor will provide resources and support to help you quit smoking prior to surgery. Smoking slows recovery and increases surgery-related risks, so it’s important that you quit before your procedure. You should give your doctor a complete list of all prescription medicines, supplements and over-the-counter medicines that you take. In the week prior to your surgery, your doctor may ask you to stop taking blood-thinning medicines such as aspirin, ibuprofen or warfarin. Your surgeon divides the stomach (about the size of a deflated regulation football) into two separate sections, creating a small pouch approximately the size of a man’s thumb, separated from the rest of your stomach. Your surgeon bypasses a portion of the small intestine. Your surgeon then attaches the bypassed intestine (Roux Limb) to your stomach pouch. The laparoscopic Roux-en-Y gastric bypass usually takes two hours or less. You will likely stay in the hospital for two to three days after your operation and should be ready to return to full activity within two weeks. The procedure is particularly effective for people with a high BMI because it has more predictable outcomes than some other types of weight loss surgery. Studies show that after 10 to 14 years, some patients have maintained 50-60% of excess body weight loss. This procedure has a positive impact on many weight-related conditions, including diabetes, high blood pressure and high cholesterol. You won’t have to come into the office for ongoing adjustments, like you would for procedures like the gastric band. You will, however, need to come in for regular follow-up care and to ensure your weight loss and nutritional needs are on track. Dumping symptoms typically lasts 30-45 minutes. For many people who have had a gastric bypass, dumping or the fear of dumping serves as a motivation to make better food choices and stay away from foods that have tempted them in the past. Your body will not properly absorb nutrients such as iron and calcium because the duodenum (small intestine) is bypassed, which can lead to iron deficiency anemia. This is a particular concern for those who experience chronic blood loss during excessive menstrual flow or bleeding hemorrhoids. Women, already at risk for osteoporosis after menopause, should be aware of the potential for increased loss of bone calcium. Vertical sleeve gastrectomy is a surgical procedure for weight loss. With this procedure, the surgeon removes a large portion of your stomach. The new, smaller stomach is about the size of a banana, which limits the amount of food you can eat at once and helps you feel fuller after smaller meals. Your surgeon will make two to five small cuts (incisions) in your abdomen. The scope and instruments needed to perform the surgery are inserted through those incisions. The laparoscopic vertical sleeve gastrectomy takes about 60-90 minutes. You can expect to stay in the hospital for about two days after the procedure. You’ll be able to drink clear liquids the day after your procedure, and begin a pureed diet by the time you go home. Your surgeon, nurse or dietitian will recommend a diet for you following surgery. Following your dietary instructions is important for your safety and to achieve maximum weigh loss results. ORBERA™ non-surgical weight loss procedure can help people lose weight who have not had luck losing weight with other diet programs. Designed by weight loss specialists to be a temporary tool to help you lose weight, ORBERA is a two-part weight loss system that includes placing a soft gastric balloon in the stomach to limit how much you can comfortably eat at one time and a one-year coaching program to help you maintain your new, healthier lifestyle. ORBERA™ is ideal for people who want the positive effects of weight loss surgery without the risks of surgery and associated long-term complications. The placement of the soft gastric balloon only takes about 20-30 minutes for your doctor to perform. Your doctor will insert the deflated gastric balloon through your mouth and into your stomach. Most people are able to go home the same day. The gastric balloon will stay in place for six months, during which time you’ll see the most dramatic weight loss. You’ll work closely with your doctor, dietitian and other specialists to develop healthier eating and lifestyle habits. After six months, your doctor will remove the balloon in a similar, non-surgical procedure. For the next months, you will continue to work through your weight loss coaching program to make sure you have developed and are maintaining healthy habits to carry you through to maximum weight loss.